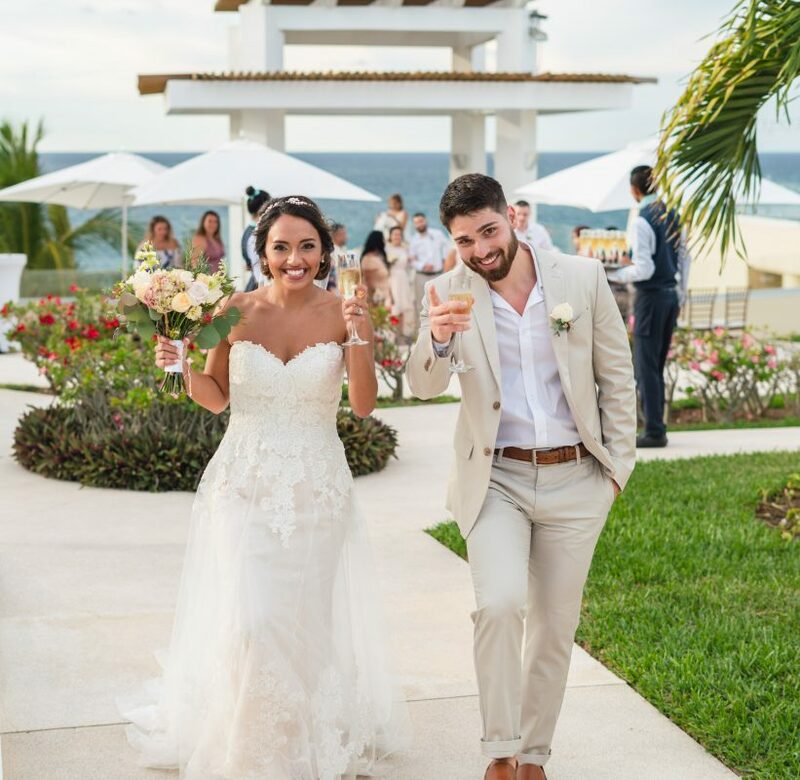 It’s been just about two months since Adrianna and Marcel escaped one of the worst winter storms Wisconsin has seen in years, to jet off to beautiful Puerto Vallarta to get married. 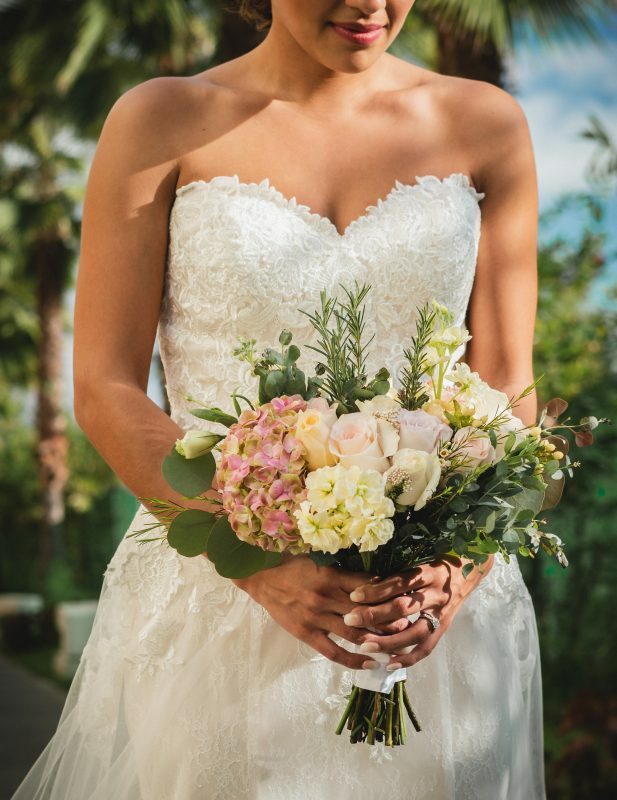 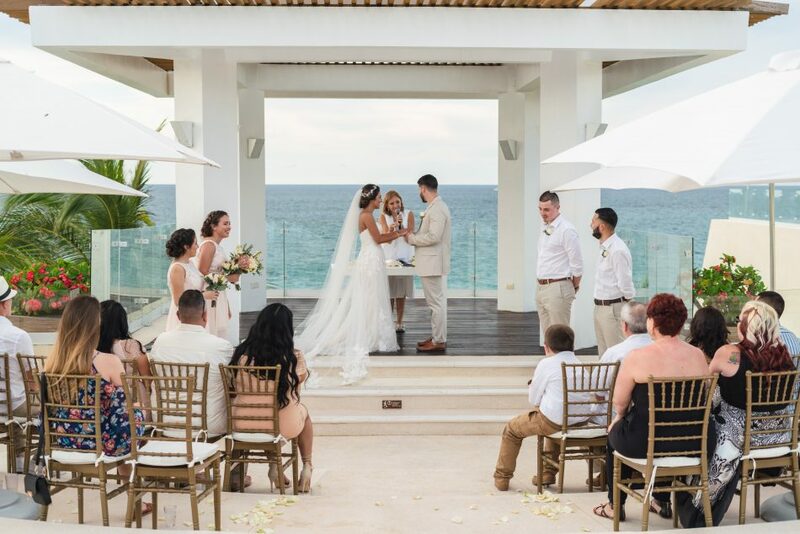 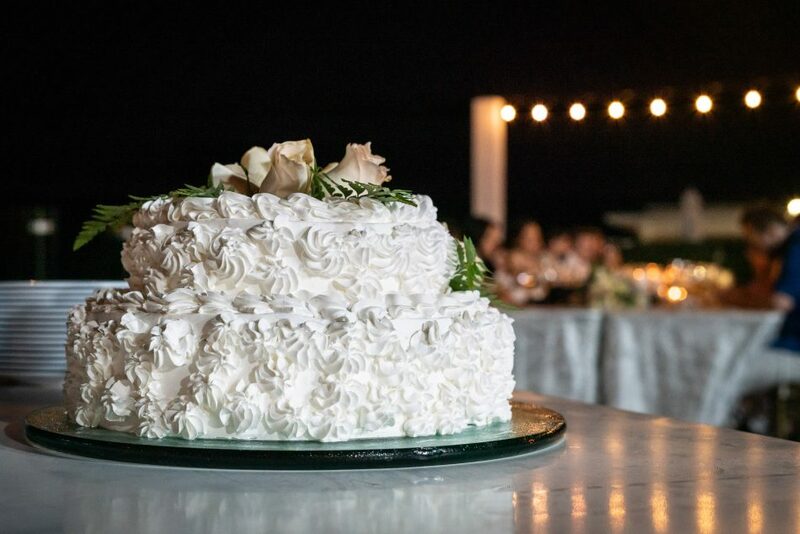 While the snow was piling up and the temperatures were dipping down at home, Adrianna and Marcel soaked up every ounce of sun and every blissful moment with their loved ones as they tied the knot at Iberostar Playa Mita All Inclusive Resort on February 1, 2019. 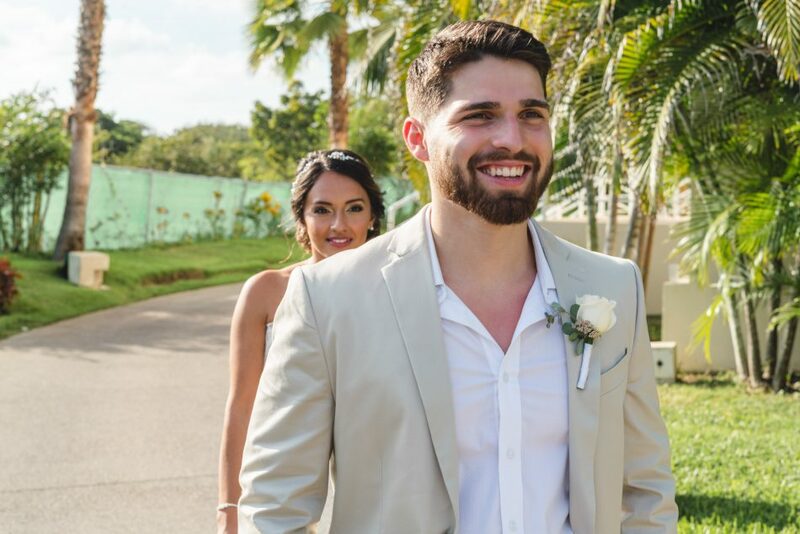 Marcel and Adrianna came to Weddings by Funjet thanks to a wonderful referral. 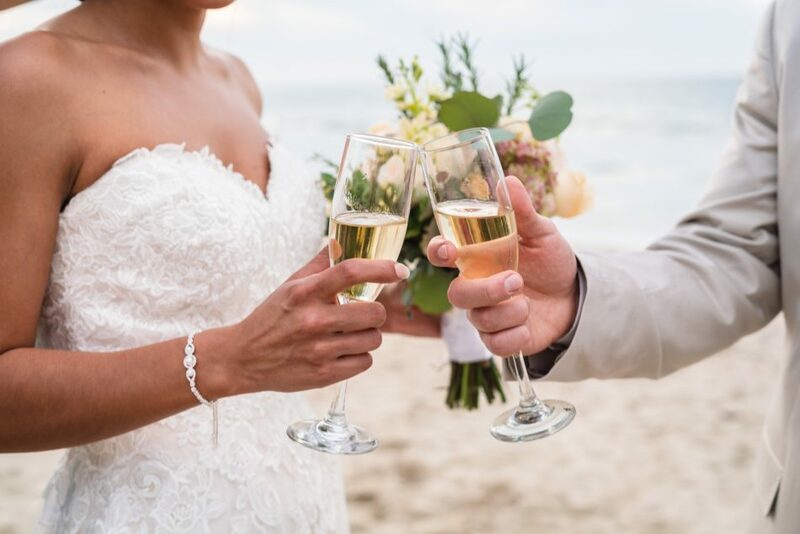 (If we have never mentioned it, we, like any other wedding vendor, LOVE referrals!) 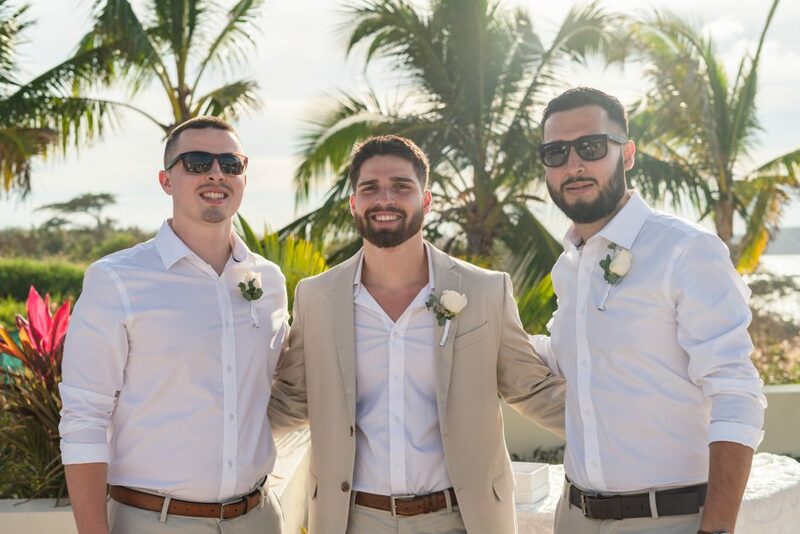 For them starting off with the search of where to go was the most challenging. 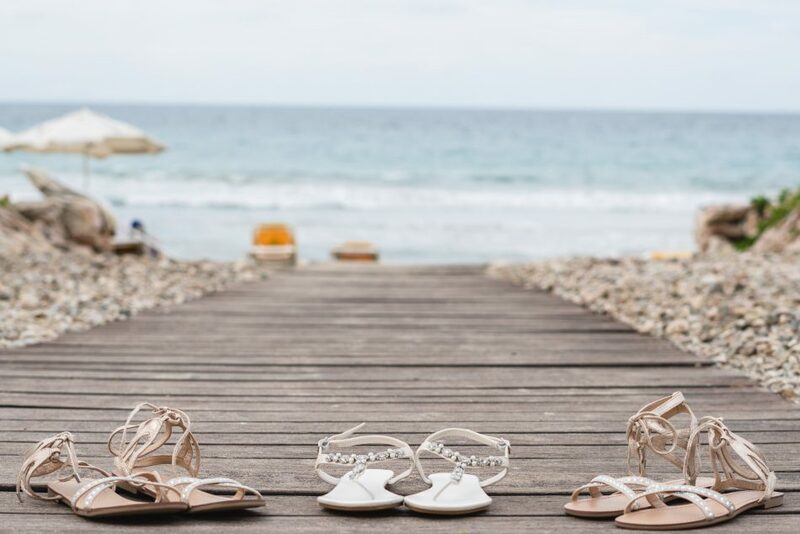 They have a short list of requirements: somewhere beautiful (easy! 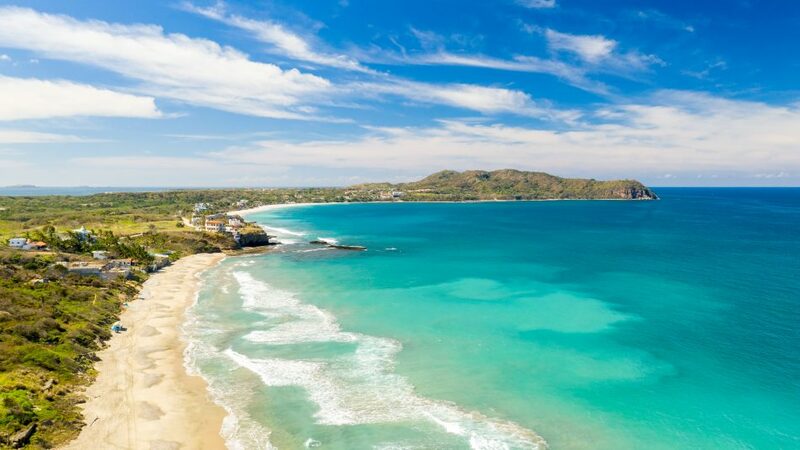 ), some place affordable for guests, and somewhere that would be great to host a group with ages ranging from early 20’s to mid-30’s for the most part. 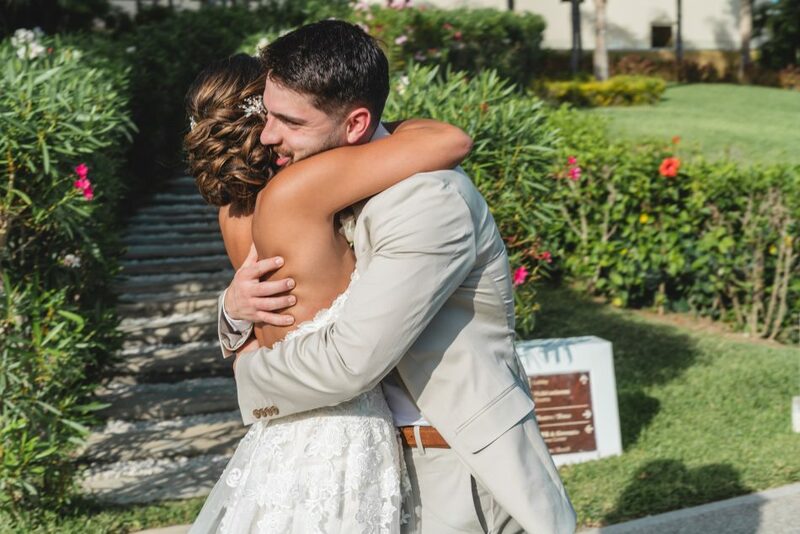 February was their ideal time of the year to get married, and knowing this, the search was on! 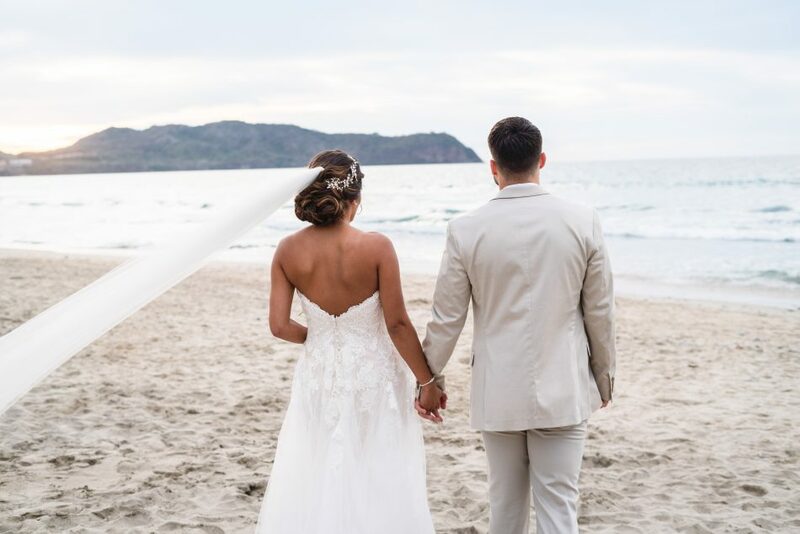 Ultimately, after considering several beautiful destinations, Puerto Vallarta was the one. 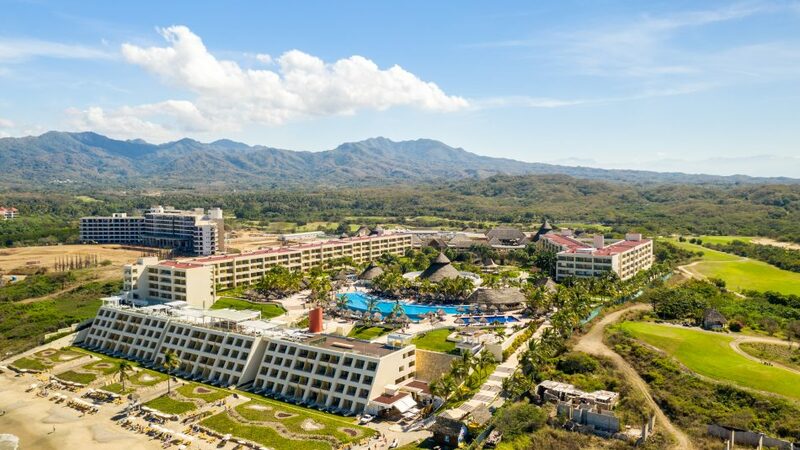 Deciding on a hotel was the next step, but there was one resort that stood out among all the rest: Iberostar Playa Mita Resort & Spa. 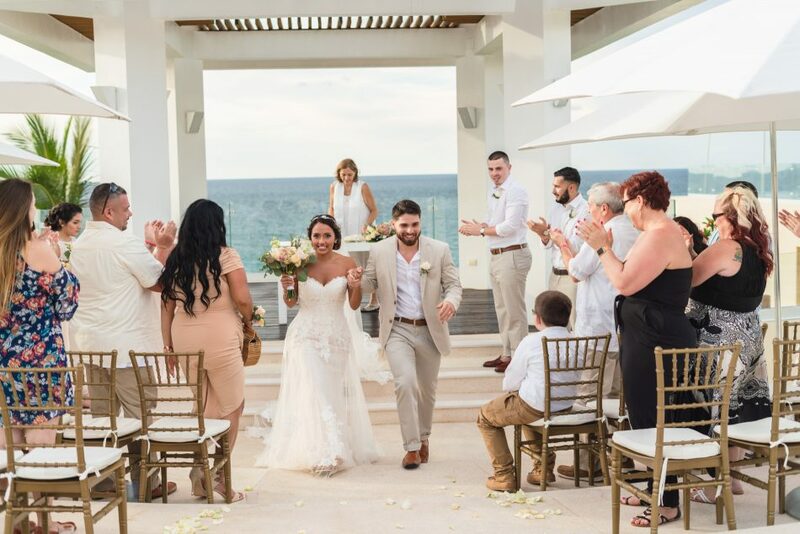 It seemed to have everything this newly engaged couple was looking for: gorgeous venues, great guest rates, reasonable wedding pricing, superior reviews of the onsite wedding team, and of course, vibrant pools and a large beach! 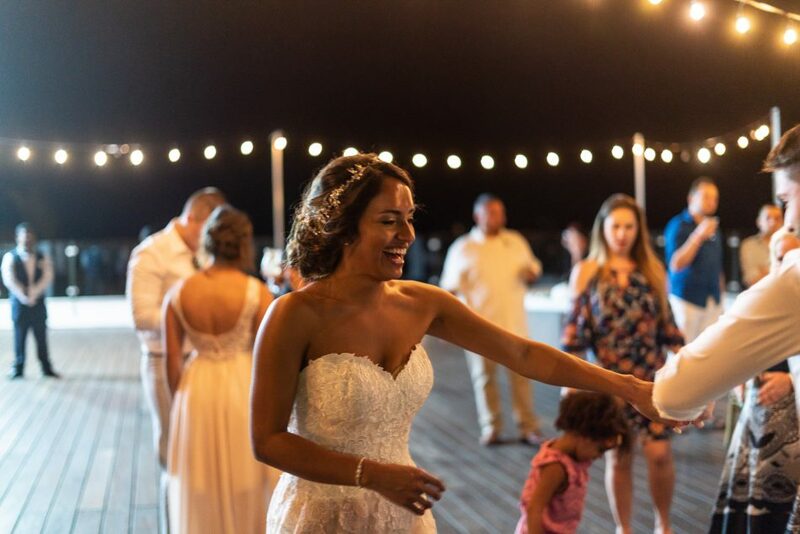 We should also note that the cigar bar and the late night disco were also a huge hit! 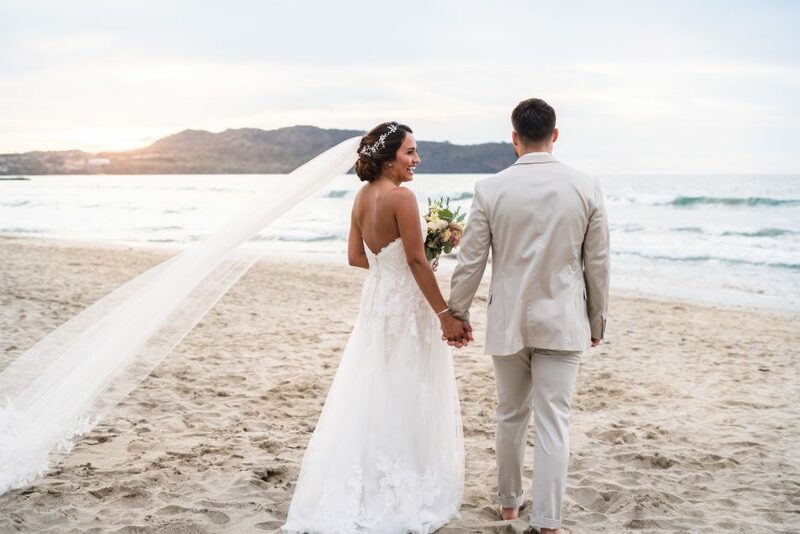 Iberostar Playa Mita’s wedding team is no stranger to Weddings by Funjet. 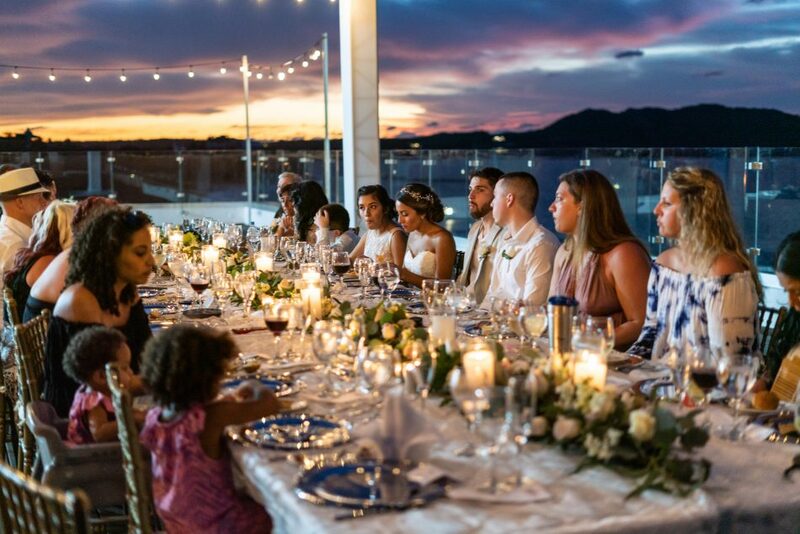 Together we have worked to host many wedding groups in the past, each one more successful than the last. 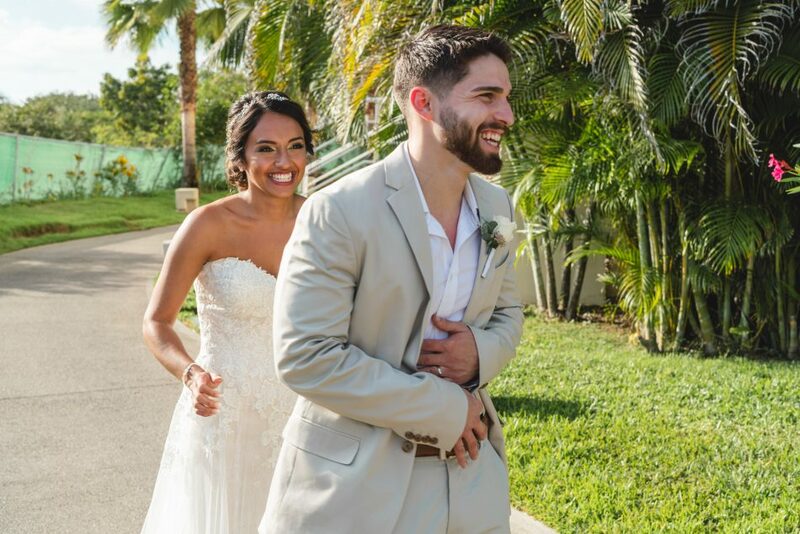 Onsite coordinator Adriana C. is a dream to work with, and she has such a sincere level of care for each and every wedding couple. 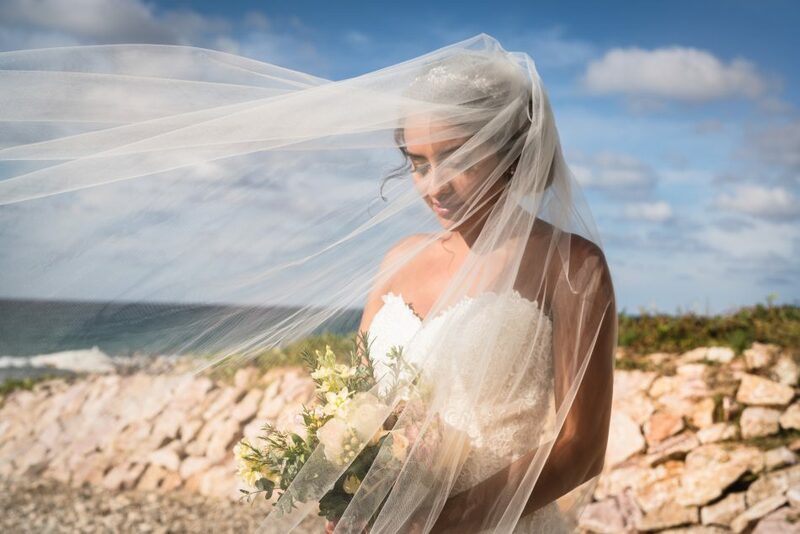 Over the next year, Adrianna, Marcel, myself and Adriana worked together to bring the wedding vision to life. 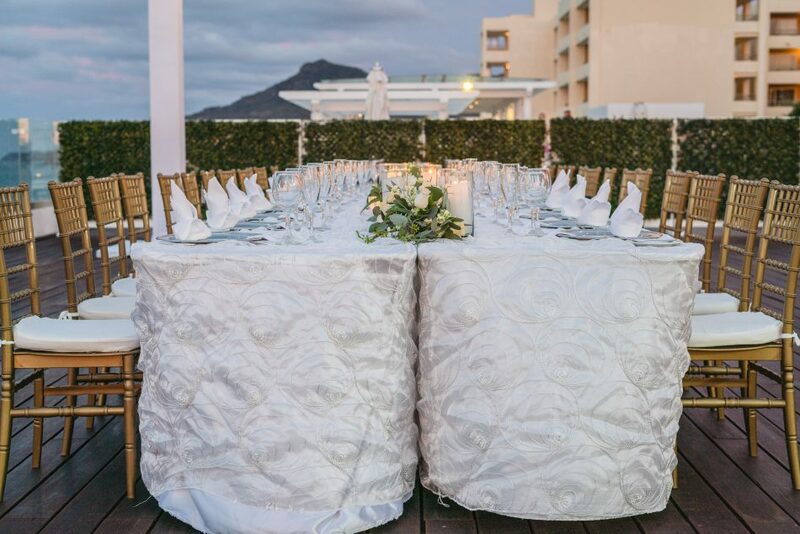 As with most couples, the biggest challenges were determining the final guest count, and balancing the budget. 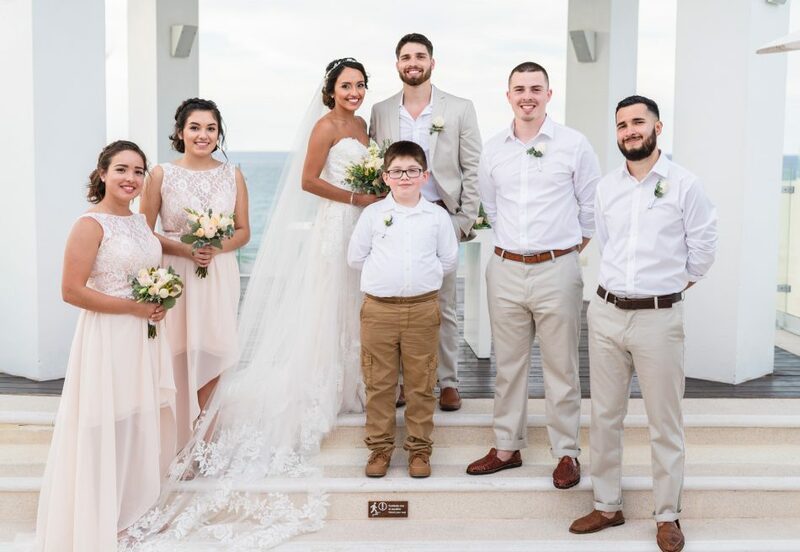 As a team, we were able to fulfil Adrianna’s dream wishes all while staying in budget. 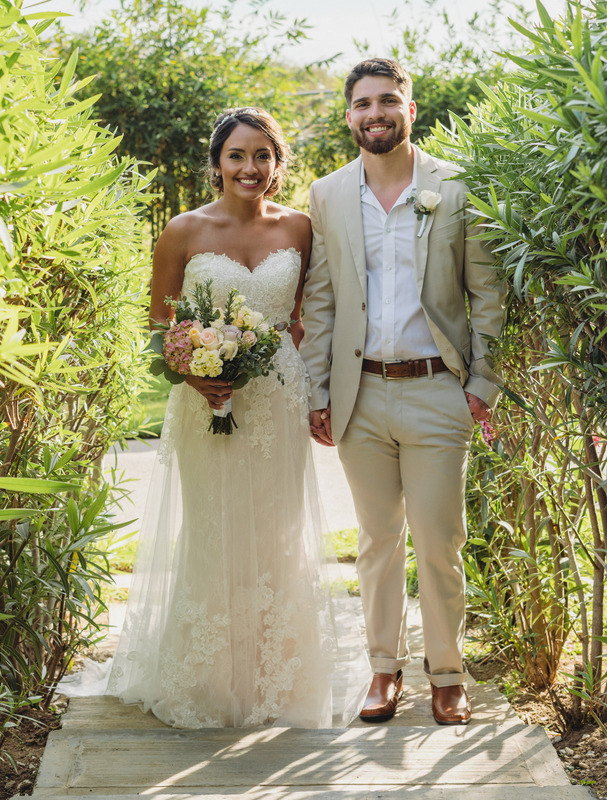 Getting to know Marcel and Adrianna was truly such a treat, they are genuinely beautiful inside and out, their kindness radiated through the entire wedding planning process. 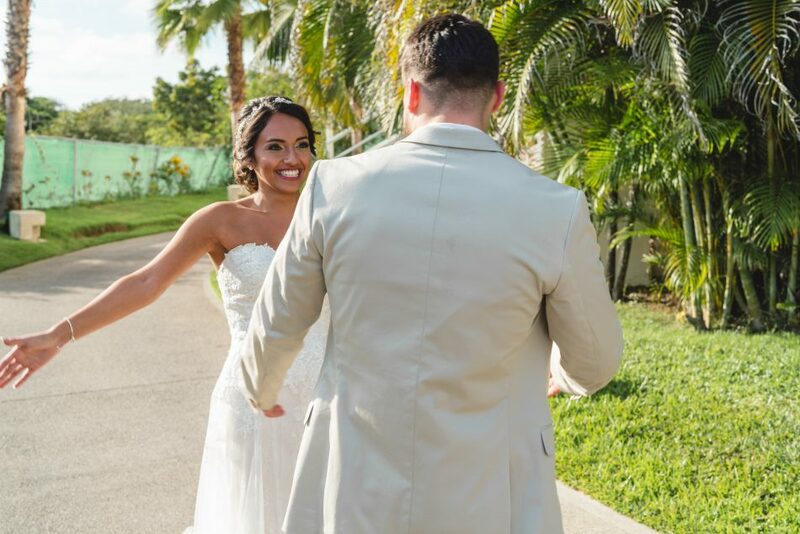 Adrianna and Marcel’s day was nothing less than perfect. 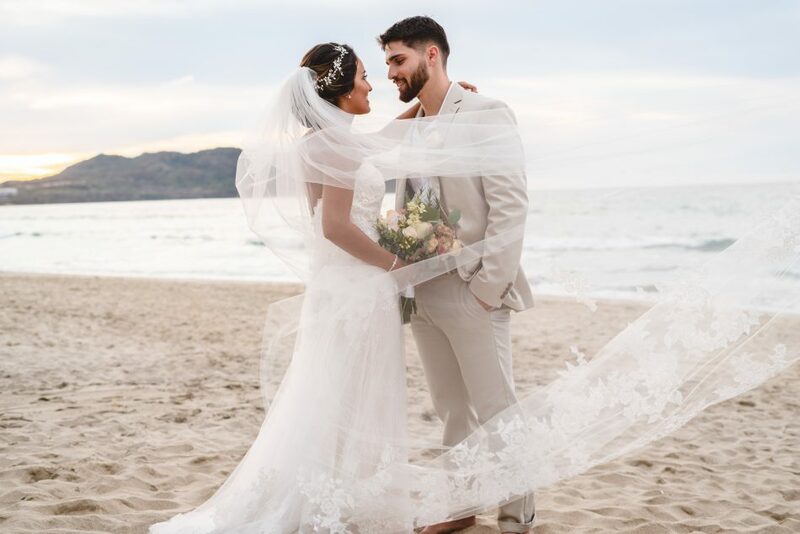 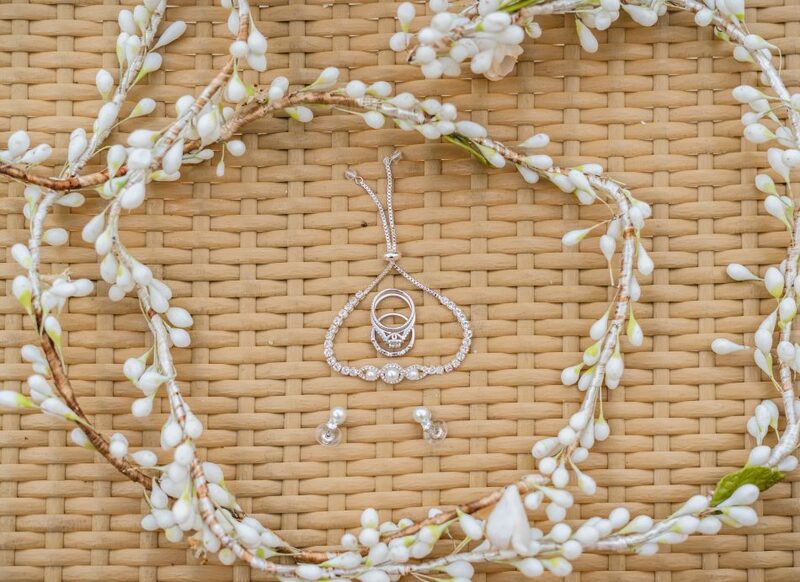 The details of their wedding were simple, sweet, and romantic. 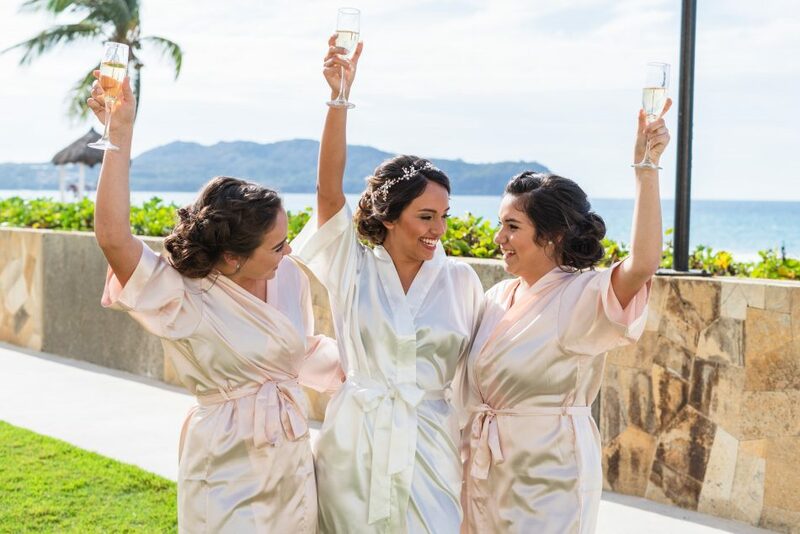 The bridal parties got ready in separate rooms prior to Marcel and Adrianna having a first look. 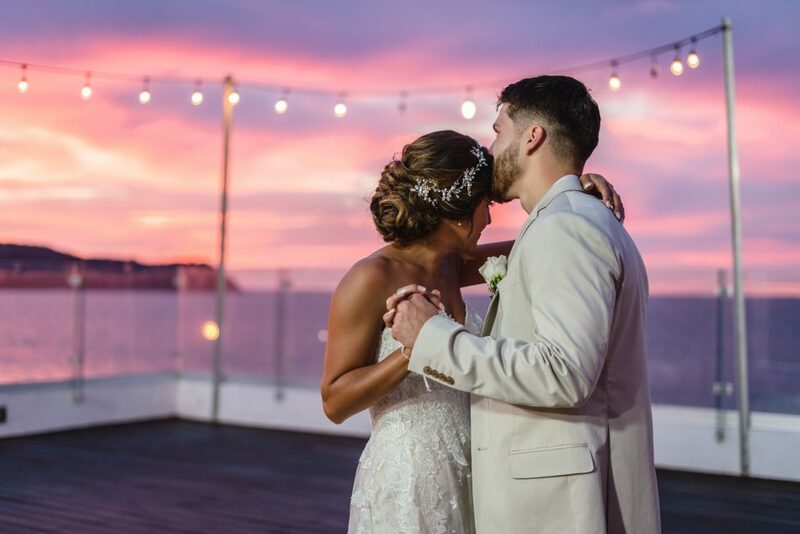 The wedding ceremony took place at the ocean front gazebo at five o’clock, just the perfect time to ensure a jaw-dropping sunset at dinner. 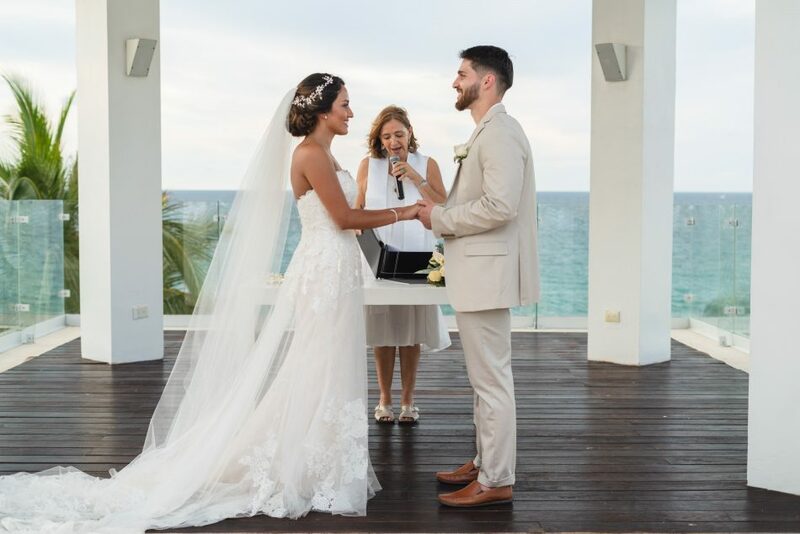 Surrounded by their closest family and friends, Marcel and Adrianna committed their lives to one another, and had the best day ever. As for Marcel and Adrianna’s wedding reception, we’ll let the pictures do the talking. 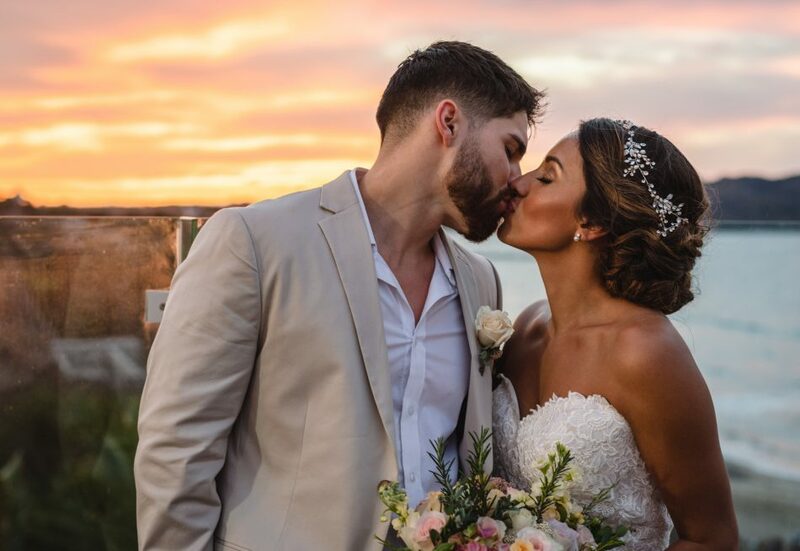 The sunset was one for the record books, and in my opinion, I think it is the perfect start to their newest chapter in their love story. 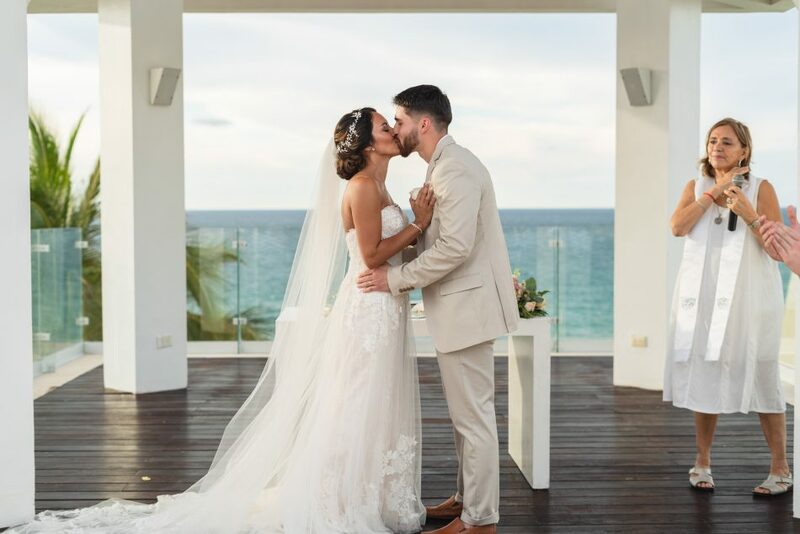 Congratulations, Marcel and Adrianna! 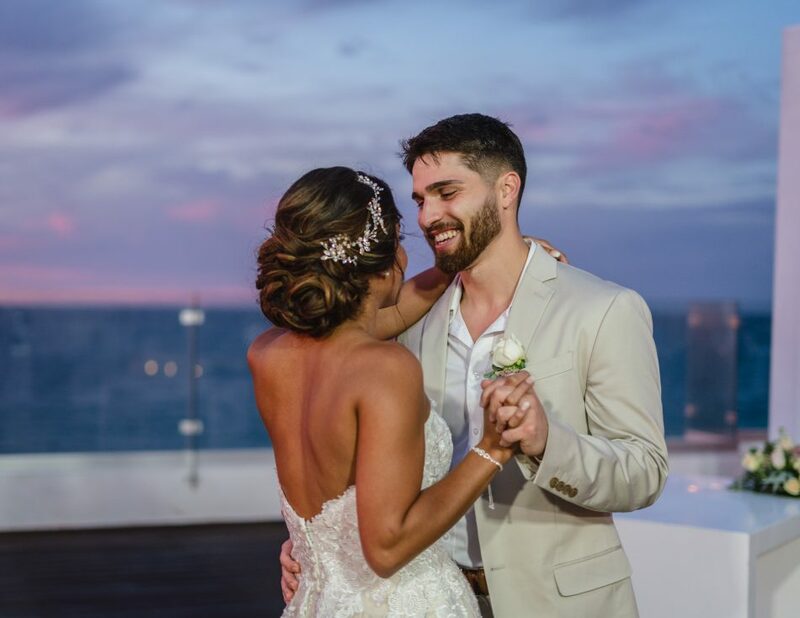 An incredible amount of gratitude is given to Hyler Media whom Adrianna and Marcel had travel with them from Milwaukee to capture their wedding day on photo and video. 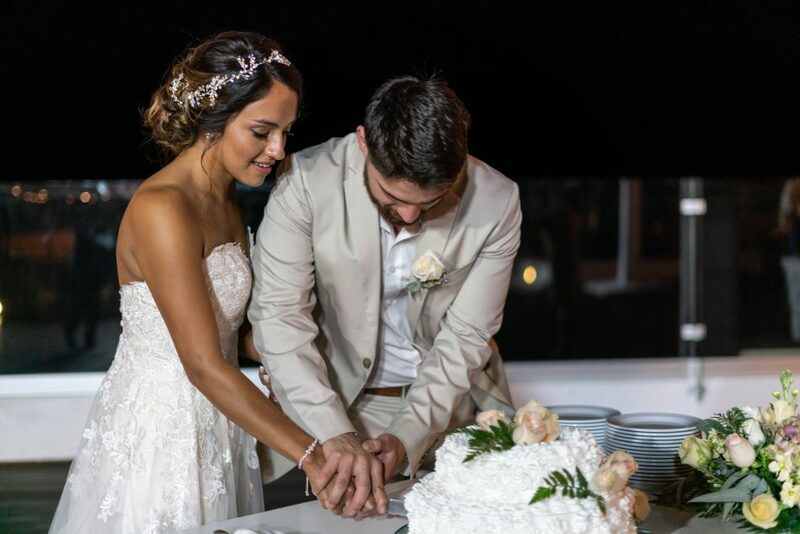 The Weddings by Funjet team encourages you to watch the beautiful video of Marcel and Adrianna’s wedding day here.